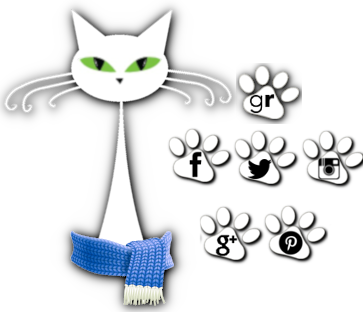 herding cats & burning soup: Interview w/ Marquita Valentine! Woot! Yall I'm so glad to be home from vacation! Had a great time but man it's nice to have my own bed and see the herd. And even more exciting? 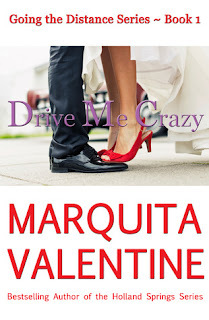 We have Miss Marquita Valentine joining us on the blog again for a great little interview. So check out our chat and leave her some love. She's an awesome one! We've got a few questions for ya if you don't mind. I've been reading on your Holland Springs' series this year and am just loving it. What got you started writing the series? Oh thank you! Actually Glee, weird, right? An actor hero was right up my alley. So…Christian Romanov was born. Oh how neat! Never would have guessed Glee :) Alright so, if you were trying to win someone over to the series with just a quick little teaser how would you "hook" them? Holland Springs is a small town filled with people who have epic love stories waiting to be told! Aw, I love that Marquita and it's so true! I loved that show "Pop-up Video". Could you tell us 4 behind-the-scenes fun facts about your series? 1. The Ambroses (a family that is referenced in every book) are loosely based on my husband’s family’s antics and treatment of one another. 4. Originally, I intended to base the entire series on the Ambrose siblings (which all of them will get their own HEA written), but decided that I didn’t want to limit myself to a family when I had an entire town at my fingertips, lol! I'm really glad you decided to play with the whole town :) So many fun possibilities! Now, if you could spend the day with any of your characters doing...anything. Who would you pick and what would yall do? YES! Going the Distance consists of three, each with their own couple and category trope: best friend’s older brother, enemies to lovers and an anti-double makeover story/unrequited love. 1. Favorite fast food? Waffle Fries. 2. Oddest thing you can see from right where you're sitting? Pink leopard print wrapping paper. 3. Favorite smell? Fresh linen and freshly cut grass. 4. Best cooking disaster? I've blocked it from my memory and commanded Hot Builder to do the same. 6. Favorite super power? Mind reading. 7. Go-to guilty pleasure? A glass of wine and a romance novel while taking a hot bubble bath. Whew! That sounds really good right about now! LOL Thanks so much for coming by today Marquita! I can't wait to read Drive Me Crazy and check out the new series :) It'll be perfect for our "Sports Romance" reading challenge! Woot! Alright kittens. It's your turn! Leave Marquita some love! She's one of my local NC authors and a wonderful lady. Have a favorite of her stories? What to ask her another question? Or just say hey? Go for it! Thanks for coming by Pat! 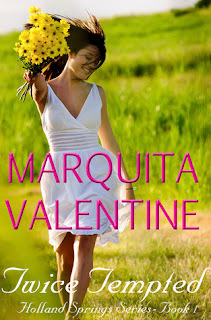 I'm so with you on Marquita's covers :) They always make me smile too! Thank you for reading and reviewing all of my books. :) Twice Tempted's cover is so perfect for that book. I love it! 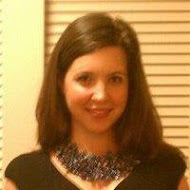 Anna asks great interview questions! I have you on my list of "To Get" books and am hoping I can remedy that and put you on my TBR shelves soon! Thank you for stopping in today. Anna, I'm so glad that you got to go to the signings and that your trip was a safe one. Yeah, number four makes me cringe. LOL! Great interview, Anna and Marquita! :) Can't wait for the next book! Thank you. Anna asked great questions that I had fun answering. Thank you for having me here today, Anna! Thanks for the lovely interview ladies, I still have not read one of your books, but they are on my wishlist for sure!